As the Morehouse Parish Assessor, I'd like to be the first to welcome you to our website; a work in progress. It’s provided as a service to our taxpayers, the community, and the public abroad to assist in obtaining information on properties within Morehouse Parish, Louisiana. Please use this site as an extension of our great office staff. We are here to serve you and answer any questions you may have. Your assessor’s office is required by the Louisiana State Constitution to locate, identify and value each parcel in Morehouse parish. Our trained and certified staff work diligently to meet these requirements. We are required to value all REAL property (land and buildings) and PERSONAL BUSINESS ASSETS (machinery and equipment, furniture and fixtures, inventory and all oil and gas properties) for ad valorem tax purposes. If we can assist you in any way or have questions regarding this site or information located here, please feel free to contact your assessor’s office. The Morehouse Parish Assessor is responsible for discovery, listing, and valuing all property in Morehouse Parish for ad valorem tax purposes. This property includes all Real Estate, all Business Movable Property (Personal Property), and all Oil & Gas Property and Equipment. The Assessor is responsible to the citizens of Morehouse Parish for ensuring all property is assessed in a fair and equitable manner. 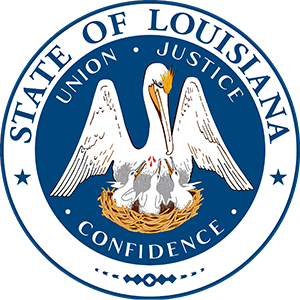 At the same time, the Assessor is responsible for ensuring that assessments are calculated according to the Constitution of the State of Louisiana and the Revised Statutes that are passed by the Legislature. In Louisiana, “Ad Valorem”, by value, is the method to calculate taxes. The Assessor does not establish the “taxes”. Taxes are approved by the voters in the form of millage propositions on the ballot. Morehouse Parish's real estate records are available online and free to the public. Search records using a variety of different search criteria such as name or address. With the professional search, real estate professionals can utilize more powerful search features than what is commonly available within the public search. Quickly narrow your result sets by searching across over 40 different types of criteria. Using the professional search helps you get what you need faster than ever before. Interactive mapping is included with access to the Professional Search. The map viewer incorporates a point-and-click application blended with parcel boundary layers. The Interactive Mapping tool will let subscribers visualize the property on a map, view the parcel boundary lines, and then link the parcel with the associated real property record card. Find common forms for assessing and appeals. View links to local and state agencies. Check out the forms page.